I don't know, man; there's something about these new backpack hanger figures. Is it the dead eyes? The droopy faces? Consider me spooked. I'll let Rush slide - that one's actually sort of cute*. 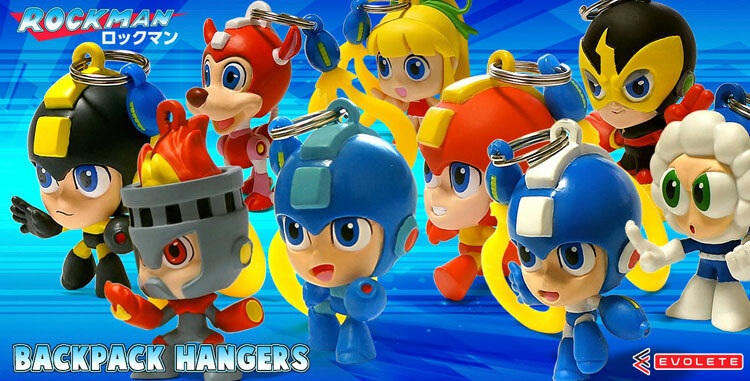 Anyway, these little figures were just revealed from E-Capcom. Produced by Evolete, they're due in May for 950 Yen (pack of three, blind box) or a box of 24 for 22,800 Yen. Brace yourself because Evolete distributes internationally. Beware! *If you want cute, GCC Mini's Rockman stuff was really great. 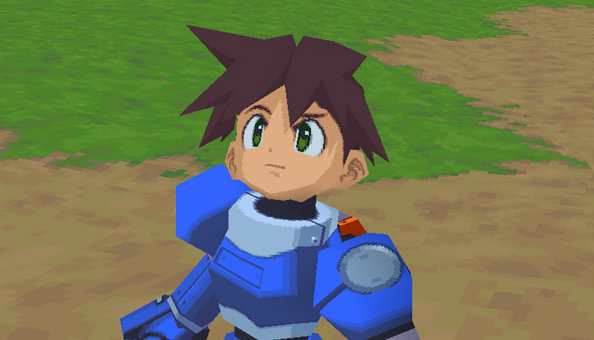 Mega Man Legends 2 is headed to PlayStation Network at last. The ESRB has rated the PSOne Classic for PlayStation 3, PlayStation Vita and PSP. 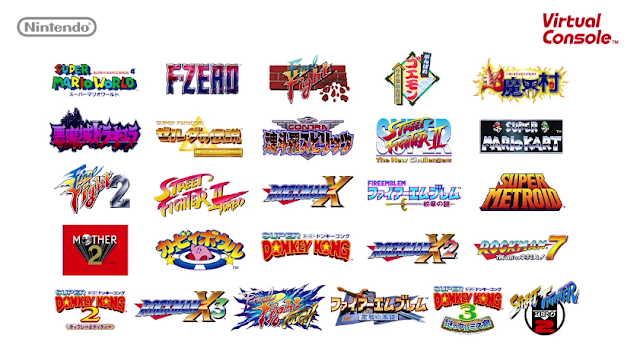 Pending an official announcement from Capcom USA, we're not too sure when it will debut. Let's hope sooner than later, right? More details as it comes! Contest Time: Win Rockman EXE Sound Box! What's this? Another contest? You bet! To commemorate Mega Man Battle Network's 15th anniversary, I'm giving away one Rockman EXE Sound Box. It's not due until June, but consider this your official pre-order. Participation is a little different this time. Instead of leaving your contact info in the comments, I'd you to retweet this tweet. I'll choose one random winner on June 1st, 2016 at 12:00pm EST. The winner will receive a DM with further instructions shortly after. I intend to ship internationally, too, so anyone can enter! Hey, what's an anniversary without an announcement? 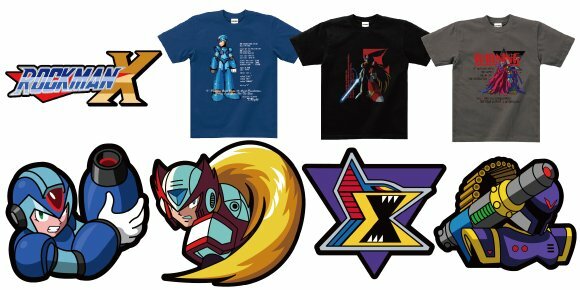 In commemoration of Rockman EXE's 15th anniversary, Capcom are prepping an EXE series soundtrack compilation. 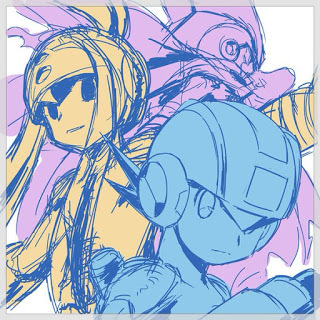 Dubbed "Rockman EXE Sound Box", the set will include 6-discs and an all-new Rockman EXE Best Arrange CD. 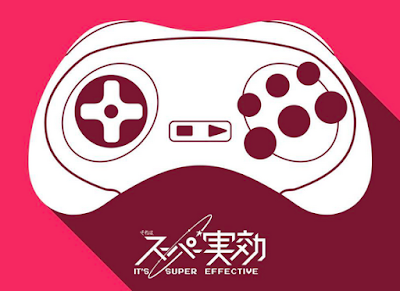 Series artist Ryuji Higurashi is designing the box art (above). 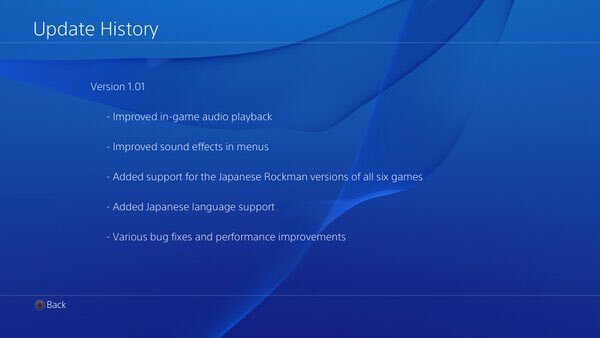 Rockman EXE Sound Box will hit Japanese retail on June 15th, 2016 (price TBA). We'll keep you updated on details as they come out. Happy 15th Anniversary, Mega Man Battle Network! It's the 21st in Japan and that means Mega Man Battle Network officially turned 15-years-old. Incidentally today is the Game Boy Advance's 15th anniversary in Japan, too. 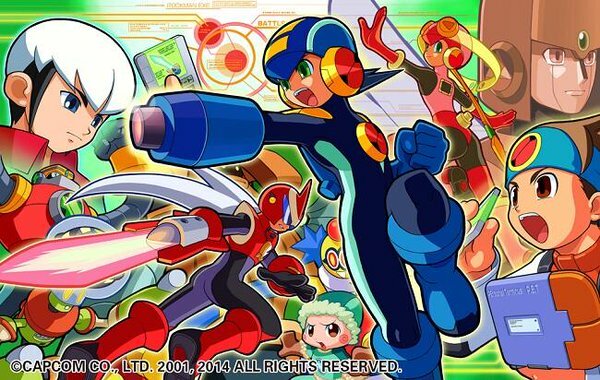 In a time where the classic, X and Mega Man Legends series were under-perfoming, Battle Network shot right out of the gate, spawning a successful multimedia franchise. 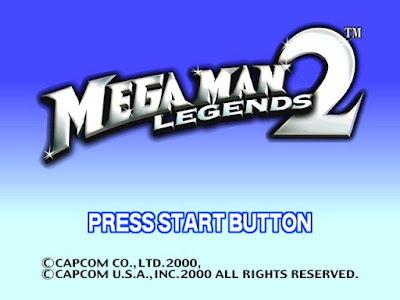 In just a few years time, Mega Man.EXE became the face of Mega Man in the early '00's. From video games and toys to TV and film, Battle Network truly breathed new life into an aging franchise. 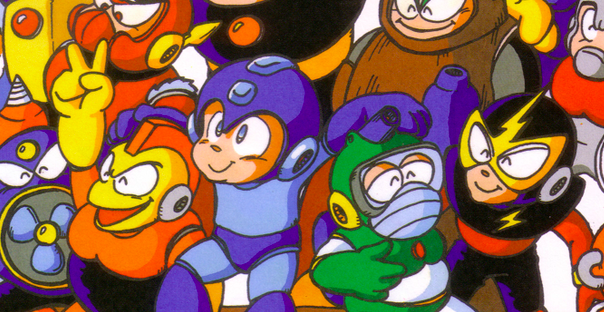 It's not a stretch to say many of you reading this are Mega Man fans because of MMBN. I do not know what the future holds for Battle Network. But after after a strong showing at Hanayashiki, I fully believe there's potential. Who knows what the next five, ten years hold! Here's to you, Mega Man.EXE. Maybe we'll meet again in a few! The patch should be live across North America and Europe right now. I'm currently awaiting confirmation on PC and Xbox One, too. Mind you, these issues are not issues on the 3DS version. The 3DS version has its own set of problems that have yet to be fixed. UPDATE: Frank Cifaldi, the game's producer, has yet to be asked by Capcom to develop a 3DS patch. So that's out of the cards, for now. Frank also says they made a Steam patch, a small one, but it hasn't been pushed out yet. UPDATE 2: Patch is live for Xbox and PC. Hey, remember that Rockman X3 prototype (08/23/1995) that showed up not too long ago? Well we secured it. It's in the hands of a good pal of mine. Right now he's seeking out the hardware needed for a dump. Once everything is in place, we'll release it publicly. I'll be debuting the file right here on the blog. In the interim please enjoy some more footage. 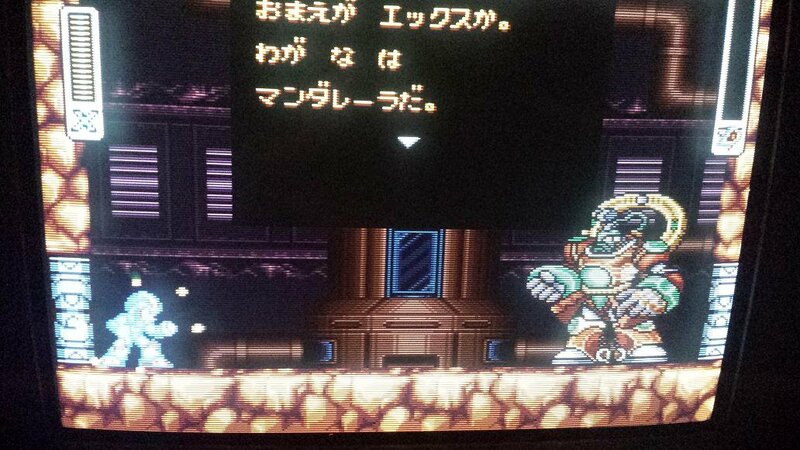 This is an early version of Neon Tiger/Shining Tigerd's stage with a few graphical differences (the background, mostly). Tigerd's sprite is much different than what we ended up with, too. He actually looks intimidating! I can't say when the dump will go public but it will be worth it. Other differences to look forward to include Byte/Mandareera's early sprite and a fully-intact unused gate in Blast Hornet's stage (previously seen on the back of X3's NTSC box). Stay tuned! T-shirts and patches! Oh my! Got a Wii U? Live in North America? Good news for you, friend: Mega Man Battle Network 6 will be arriving on the Virtual Console tomorrow. CyBeast Gregar and CyBeast Falzar will set you back $6.99 a pop. As a friendly tip, you should be able to unlock trade-exclusive Battle Chips from the Comm menu. After saving your game, these special Chips will end up in your pack (EDIT: The e-Reader BBS quests were unlocked by default in the original U.S versions. They should still be here regardless). And with that, the entire MMBN series - no, the entire Mega Man GBA library, has a home on Wii U.
Mega Man Endless is an upcoming fan-game focused on entirely on endurance gameplay. Taking a few cues from Mega Man 9 & 10's Endless Attack mode, players will be tasked with surviving dozens of stages and bosses. One lap is practically a full Mega Man game! The thing is, the game's creators are in need of some level ideas. That's where you come in. Blyka has setup a contest of sorts to get the ball rolling. Absolutely no coding or developer experience is required -- this is a come one, come all opportunity. Interested? You can find the full details in the video description here. Submissions end on March 31st. 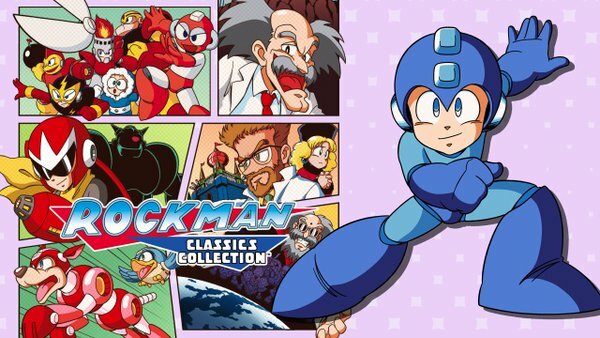 Various Japanese sites have begun accepting pre-orders for Rockman Classics Collection Fan Book, an 80-page homage to the classic series and the fans that support it. The book will feature fan-art collected from a Japanese Twitter campaign, interviews with fans and musicians, and RCC tips and tricks. The book will be available on March 31st for 1,800 Yen (roughly $15.81 US). 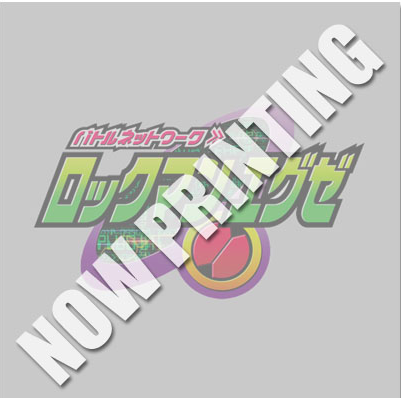 A currently unannounced bonus gift will come bundled with copies ordered from Animate Online Shop. What happens when Mega Man forgoes the stage select and goes for broke? This animated short from our pal UltimateMaverickX holds the answer. 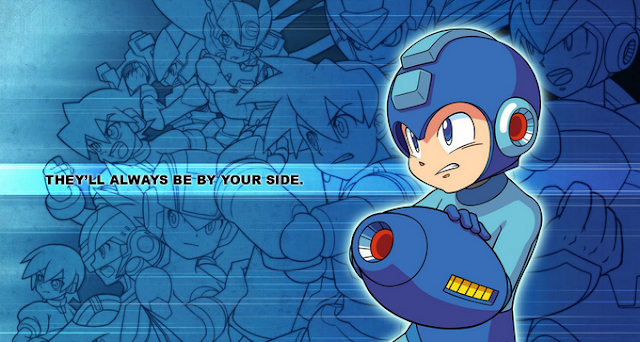 Oh, and check out the "secret" Mega Man X version while you're at it. Thanks to Tony Ponce for the tip! During today's Nintendo Direct presentation, Nintendo announced a bevvy of classic Super Nintendo and Super Famicom titles are coming to New Nintendo 3DS Virtual Console. At least four Rockman games have been confirmed for Japan: Rockman 7, Rockman X, Rockman X2, and Rockman X3. Rockman & Forte and Rockman Soccer are MIA again. Nintendo did not specify when we'll see these four hit the service. What's more, there's been no word on North America or Europe. I'm confident we'll see them all on our shores eventually, though. Check out today's Nintendo Direct for more information. 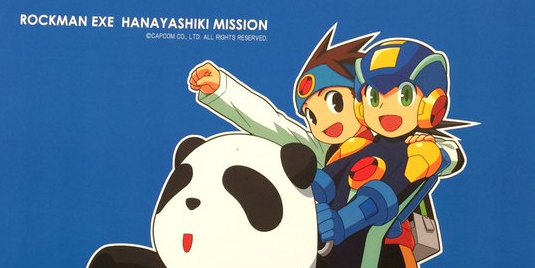 Rockman Classics Collection is off to an alright start in Japan. For the week of February 22nd through the 28th, RCC debuted at #2 with 23,942 units sold. The game is second only to Kamen Rider: Battride War Genesis. Of note, this data only covers the physical Nintendo 3DS version (digital eShop sales and E-Capcom shipments are not calculated) which launched on February 25th. The game is not currently available on PS4, Xbox One or PC in Japan. For those curious, the previous physical Mega Man game available in the region, Zero Collection, debuted at #4 with 21,736 units in June 2010. Looking at past Media Create data, rarely do we see Mega Man games rise after launch. RCC will drop next week, that much we can expect. I'd wager we'll see another 5K-10K. All in all, its charting better than I expected. UPDATE: Data from Dengenki indicates RCC sold through 50% of its initially shipment during the first three days on sale. In other words, Capcom shipped a little over 40,000 units to retail, half of which sold. Not bad. 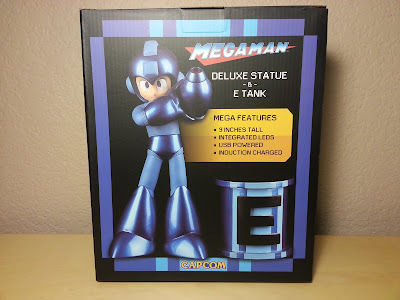 It looks like Amazon's exclusive Mega Man Legacy Collection statue and E-Tank bundle has begun shipping out. While you await your order, here's a gallery's worth of images from NeoGaf member Diggeh. 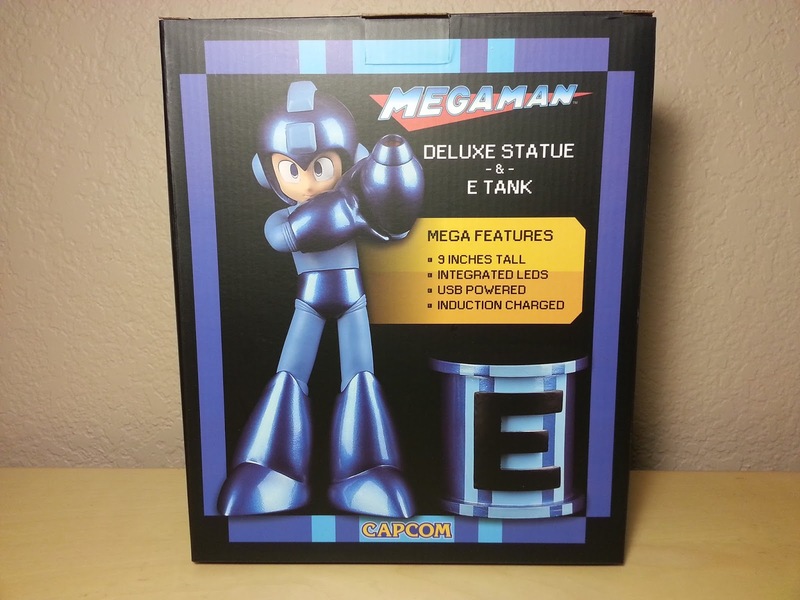 There's some excellent shots of the Mega Man statue and its complimentary E-Tank piece. If Diggeh's box is to be believed, approximately 2015 (literally two thousand fifteen) statues were produced. The Mega Man statue is based on the 25th anniversary mold with modified feet (no more ugly peg holes!). To illuminate the statue, you must place it in close proximity to the E-Tank. It's not complicated, but someone thought it would be a good to set up an FAQ. Anyway, seems neat. If you already own the 25th ann. statue, I personally don't believe you're missing much.